Anna Dale, Londonderry Township supervisor, talks at Tattered Flag in Middletown on Tuesday about the effect that the closure of the Three Mile Island nuclear facility would have on its workers and the area. John Levengood, president/business representative for IBEW Local 777, talks at Tattered Flag in Middletown on Tuesday about the effect that the closure of the Three Mile Island nuclear facility would have on its workers and the area. 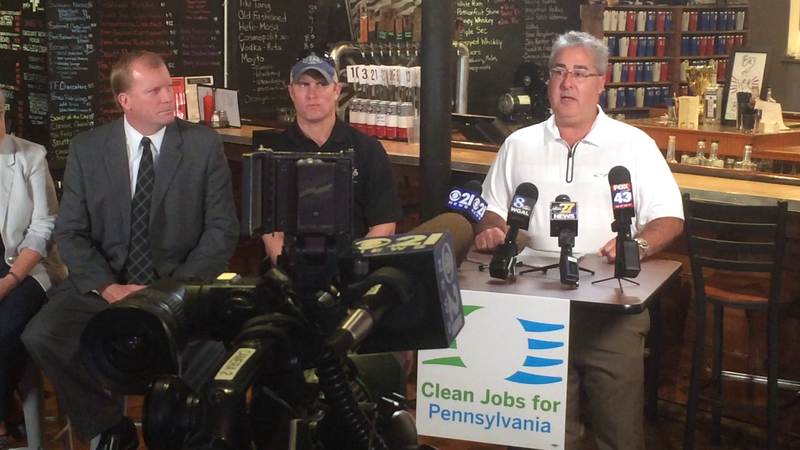 Mike Pries, a Dauphin County commissioner and co-chairman of the Clean Jobs for Pennsylvania coalition, talks at Tattered Flag in Middletown on Tuesday about the effect that the closure of the Three Mile Island nuclear facility would have on its workers and the area. 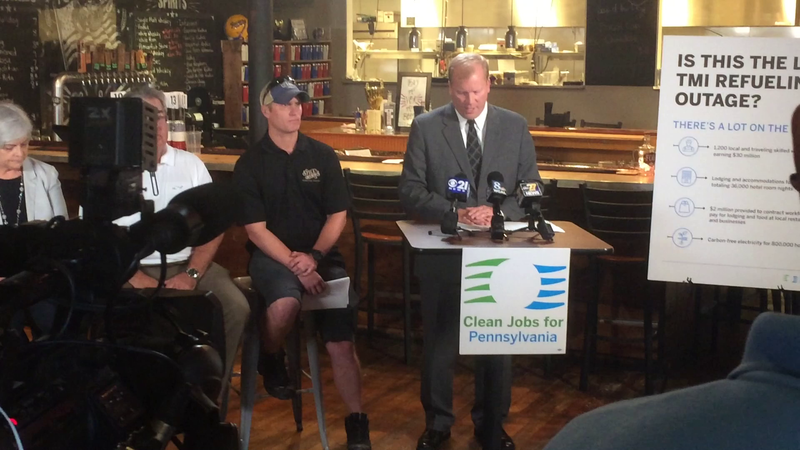 Dauphin County Commissioner and coalition co-chairman Mike Pries speaks during the TMI event at Tattered Flag Brewery & Still Works in Middletown on Sept. 26. From far left to right is York County Commissioner Chris Reilly, Londonderry Township Supervisor Anna Dale, IBEW Local 777 President/Business Representative John Levengood, and Tattered Flag CEO Pat Devlin. Four months after Exelon Corp. said it would close Three Mile Island by September 2019, Gov. 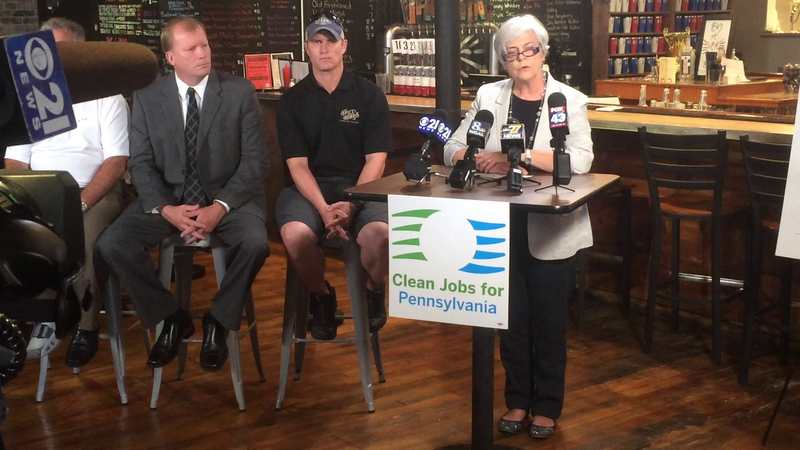 Tom Wolf and state legislators have done nothing to provide the relief that Exelon says is essential for the nuclear plant to stay open, leaders of a coalition formed to save TMI said during an event held at Tattered Flag Brewery & Still Works in downtown Middletown on Tuesday. Pries was joined at the event by Tattered Flag CEO Pat Devlin, John Levengood, president/business representative of International Brotherhood of Electrical Workers Local 777, Londonderry Township Supervisor Anna Dale, and York County Commissioner Chris Reilly. The speakers basically sounded the same alarms that they had on June 6, when the formation of the coalition was first announced during an event at Sunset Golf Course in Londonderry Township. Losing TMI and its 675 full-time workers will result in the loss of millions of dollars in payroll that benefits businesses throughout the region, and the loss of a combined $1 million in property tax revenue paid each year by TMI to Londonderry Township, Lower Dauphin School District, Dauphin County and the state. Moreover, this week’s event was timed to coincide with the refueling of TMI that occurs every other year. The refueling shutdown, which began Sept. 17, is an added economic boost to the region as it brings in an additional 1,200 workers to TMI who support hotels, restaurants, and other businesses during refueling, which typically lasts about three weeks. But this refueling could be the last in TMI’s history. “If something doesn’t get done, it all goes away,” Pries said. The coalition since its founding has grown from 12 members to more than 800, Pries said. Sixteen local governments have passed resolutions in support of saving TMI, with Middletown Borough Council expected to add its name to the list on Oct. 3. “We are communicating with the state Legislature and with the governor,” Pries said. There is a legislative nuclear task force and “a number” of state senators and representatives who are members of a nuclear coalition. Exelon in its May 30 announcement said that TMI will close unless the state takes action to provide some kind of subsidy or economic relief similar to what the state already provides to other forms of renewable energy such as solar and wind. Reilly, the York County commissioner, underscored that the inaction in Harrisburg not only threatens TMI — 76 of the plant’s full-time employees live in York County — but other nuclear plants in Pennsylvania such as Peach Bottom. “Depressed” energy prices brought on by natural gas and the state’s financial support for 16 other renewable-energy source — but not nuclear energy — “create the perfect environment for an assault on nuclear plants” throughout Pennsylvania and the nation, Reilly said. No one at the event appeared to represent Lancaster County, despite the largest number of the plant’s full-time workers — 202 — living there. Dauphin County is home to 193 TMI employees, including 78 full-time workers who live within the 17057 area code, TMI has said. Otherwise, 50 TMI workers live in Cumberland County, 43 in Lebanon County, and the remaining 100 or so are scattered throughout Perry, Franklin and other counties throughout the region.